Public House/Restaurant in the heart of the UK's smallest city, St. Davids, which is situated in the Pembrokeshire Coast National Park. With the Cathedral, scenic walks, and stunning beaches nearby. The Bishops – (name originating from a group of rocks 1 – 2 miles west of Ramsey Island off St Davids Head), is situated in a prime position right on the Cross Square in the centre of the city of St Davids. 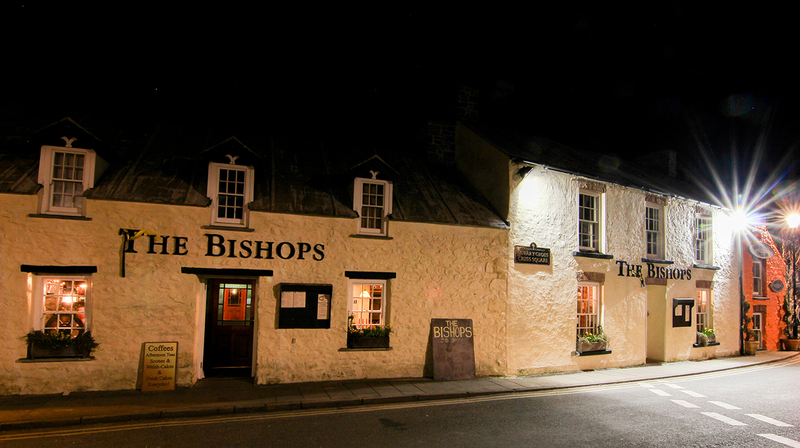 The Bishops, welcomes families and is open for food everyday of the year except Christmas Day. Specials are also available alongside the Bar Menu (except during the afternoon) and these change regularly. 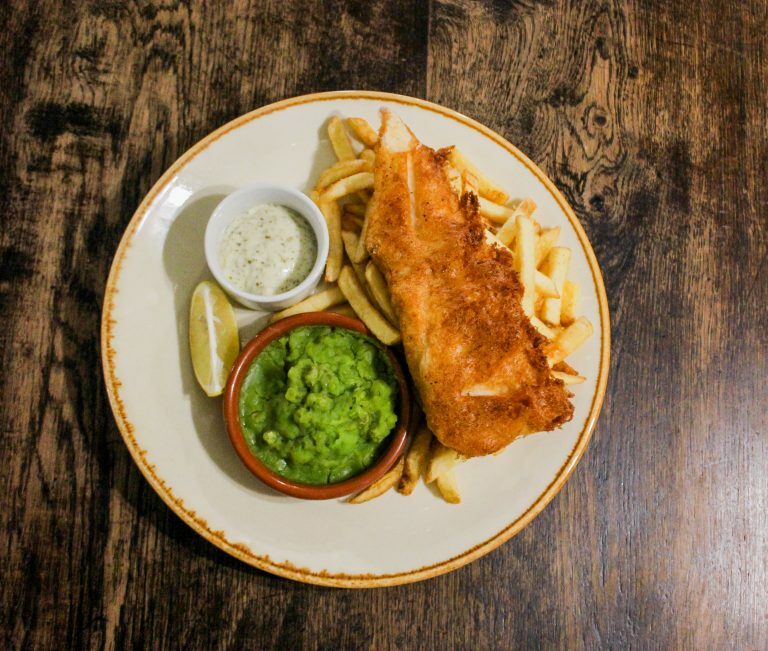 The Bishops provides a fantastic menu with many seasonal Welsh dishes and specials available all year round, served 7 days a week. There is nearly always fresh fish amongst the specials and in the season locally sourced lobster, crab and mackerel subject to availability. 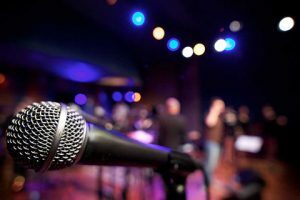 We Frequently Try And Have Live Music On Weekends During The Summer & Winter From Local Bands. 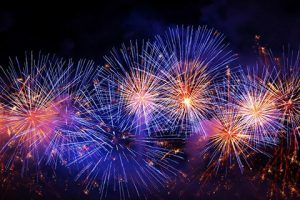 Guaranteed Live Music Event On New Years Eve. Celebrate The Start Of A New Year With Us, Along With Live Music It Is Certainly One Of The Best Places & Nights Out To Bring In The New Year. Suitable For All. This is a request for a potential booking, not an actual booking – due to seasonal demands we may be fully booked. If the booking is for the same day it would be advisable to call us. If arriving on the A487 from Haverfordwest, head down St. Davids High Street, and The Bishops will be directly in front situated in the centre by the cross square. 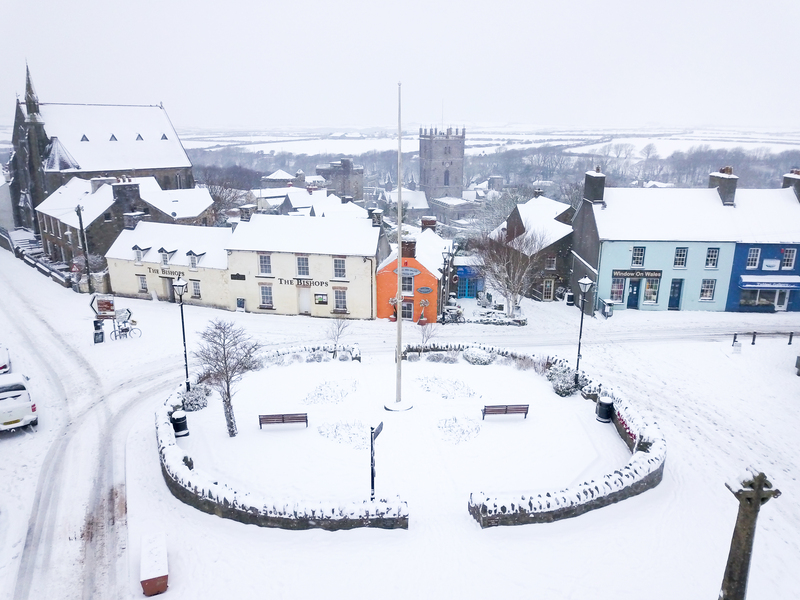 Enjoyed a winter week in St Davids. Walked miles and ate at the Bishop on three evenings. Food excellent and great potions. Sirloin Steak and Fish highly recommended. 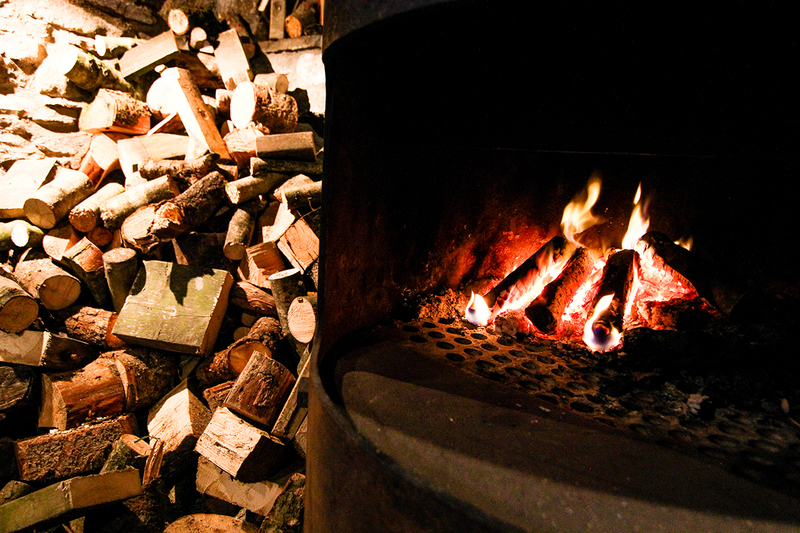 Lovely open log fire and great staff. Highly Recommended to book. Called in following a coastal walk, the cosy open fire warmed us through. A great atmosphere, friendly staff and good food. Highly recommended. Arrived here after a busy day walking. We hadn’t booked (stupidly) but we were told if we waited 20mins we would have a table. Happily we ordered a drink and within 5 minutes had a table. We ordered the buttermilk chicken burger and winter risotto. Both were beautiful and generous portion size. To make it even better the Bishops was running a 50% off January deal, fantastic value for money. 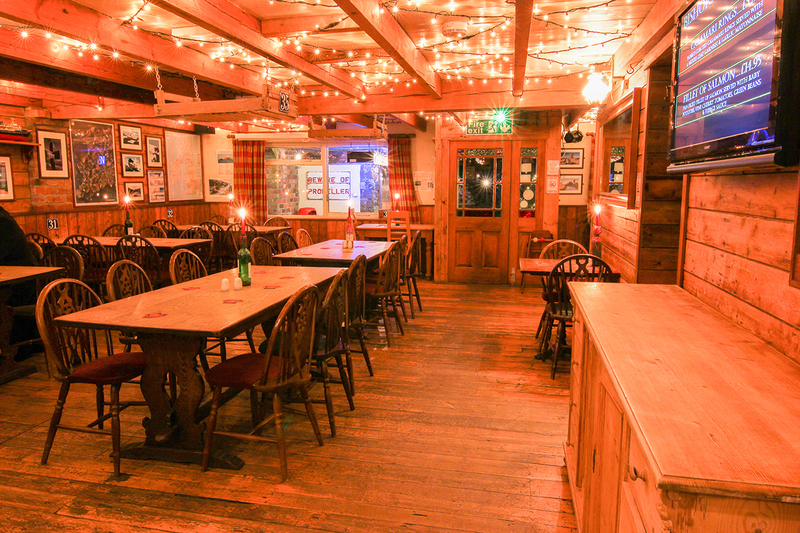 Beautiful place with open fire, friendly and accommodating staff and fantastic food and drink. Great plus was having Pembrokeshire Barti Ddu rum! Very happy customer, will be returning and would definitely recommend!